As a homeowner, you need to have solid financing options if you are to keep your homes in the best possible condition. The cost of renovating a house, right from the basement to any other part of the house, can be daunting. If you don’t have proper and tangible plans on how to remodel your home, then you might be forced to live in a less appealing home. But there is a way out. 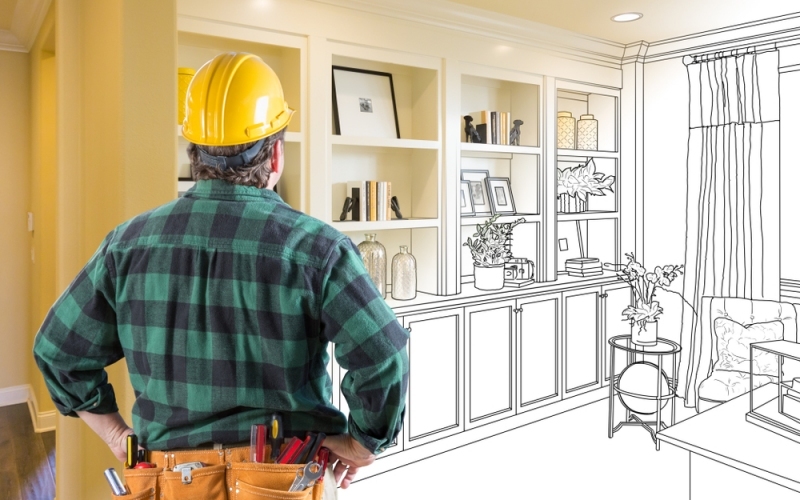 This article looks at the five easiest ways to find finance to remodel your home. This can be an excellent choice if you are looking for an easy way to finance their home renovation. These types of loans are popularly known as second mortgages given that homeowners usually get them in addition to their original mortgage. But remember that having a first mortgage is not a requirement for getting this type of loan. The home equity loan is most suitable for those homeowners who would like to avoid the cost of refinancing their original mortgages. With this, you will be expected to take all the cash at ones, unlike many other loan types like the HELOC and others. To get extra cash every month for your home renovation, you can choose to refinance your mortgage. This option gives you a chance to enjoy lower interest rates, or be allowed to longer loan terms. You can use this opportunity to stash out some money and get our home remodeled into the best way you want. Cash-out refinances can be an even better option under this financing, especially if you have enough equity in your home. Cash-out refinancing is where you refinance your current loan for a new loan with a higher amount. This will allow you to pay off the existing loan and have the extra money to remodel your home. Why not try the home equity line of credit? Refinancing might be meaningless if you’ve already paid off your loan, or if you already have a low rate on your first mortgage. For you to tap into your equity and renovate your home, then, you have to go for HELOC, which will allow you to give your home a new look without having to refinance. This option is more like a credit card, where you are given a set limit beyond which you cannot borrow. The difference is that you will get a much lower interest rate given that the loan will be secured by your home, which is unlike the case of a credit card. To get to know more about this option, it is prudent to get the services of the VA renovation loan experts, given that they are the most qualified in any form of loans that are intended for home renovation. Instead of tying your home to a loan, you can instead choose a different route; the personal loan route. In this option, you will be faced with two different types of loans, the secured and unsecured loans. The secured type will require you to offer collateral, like a car, stocks or something else. For the other option, the unsecured loans, you will get a loan as long as you have a good credit history. This is the most popular among many individuals. You can take the personal loan and get your home renovated, without the need to tie your home to some form of loans. An excellent way to fund home improvements is by using your own cash. While saving might take long, which definitely calls for patience, this is the best option to upgrade a home. This option will enable you to avoid the stress of having to deal with interest rates or long monthly payments. It is undeniable that saving for s home remodeling can be quite hard, given that there are many other things that will need money. For a couple, each one earning, saving for this purpose can be a little bit easy. Financing your home renovation is not an easy task, and while going for a loan is always the number one option, it is always good to get advice before doing so. You stand to get the most qualified advice from the VA renovation loan experts on which type of loans to go for and which ones to avoid. Previous PostAre Your Children Getting the Best Nutrition? Next Post Why is it Important to have a CRM for Sales Teams?